Visualise waking up tomorrow morning, absolutely contented. Satisfied with everything - God, our life, family, food, home, job, friends, money, comforts, city. Accepting myself, people, situations, traffic, pollution, weather, as they are. Admiring the beauty and uniqueness in every speck of creation. 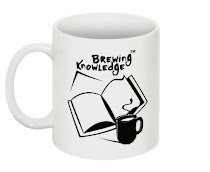 Savouring morning cup of tea, discharging duties with a smile, enjoying every interaction, sending a blessing to everyone, relishing food, focusing only on the good, welcoming surprises, remaining hopeful even in a hopeless situation - simply living it up with faith and love. How different will my tomorrow be from my today? My quality of life will rise a few notches because I choose to change my tomorrow, and it starts with one thought - of contentment for everything I have. My thought triggers a pleasant feeling, an attitude of gratitude, right actions and soothing behaviour. So I send positive energy to my body, to people and the universe, influencing all three - so my health improves, relationships become harmonious, and I contribute to world peace. If I repeat this the next day and the next, what started as CHANGES IN ME, WILL CHANGE MY WORLD. Also, I am always one thought away from changing my world. My world is not somewhere out there. It starts from within me, from my thoughts. I the being, constantly radiate my energy into the world. So if I emerge the divinity within, the world changes. If I heal someone with my love, the world changes. If I stand up for morals, the world changes. If I reconcile with my past, the world changes. When I go step out into the outer world in this state, my every action will reflect the flavour of my inner world. As angels, we are agents of change. Let us influence our family, country, and the entire humanity, one day at a time by transforming ourselves. Let our collective energy of goodness envelop the planet to bring a change and bring in the Golden Age - Satyug. 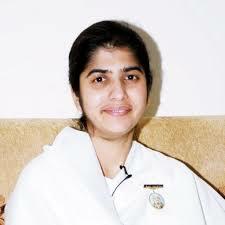 Brahma Kumari Shivani is an Indian spiritual teacher and inspirational speaker and has been a Brahma Kumaris teacher and a member of the Brahma Kumaris World Spiritual University since approximately 1995.